ANIXE | And the Travel Weekly Magellan Award goes to… ANIXE! And the Travel Weekly Magellan Award goes to…ANIXE! 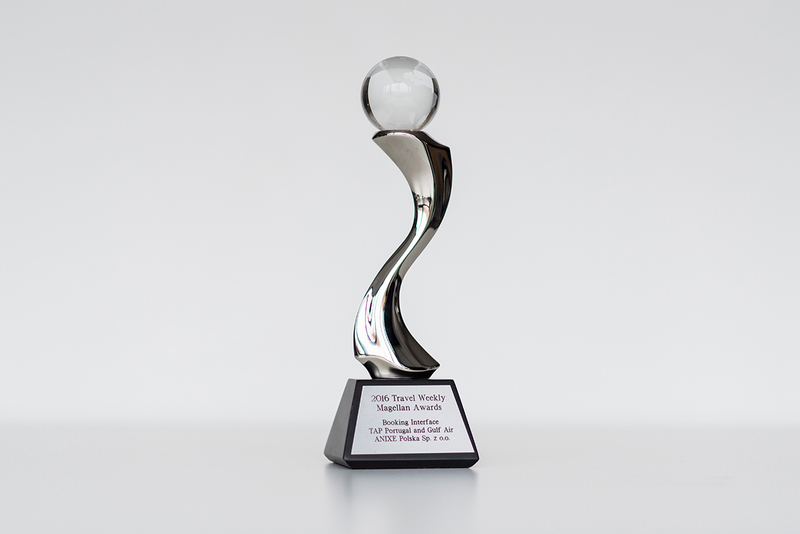 In recognition of our Booking Interface for TAP Portugal and Gulf Air, ANIXE has received a gorgeous silver statuette. Not to mention, that it’s made by the same company that produces the Oscar® and Emmy® awards. Travel Weekly Magellan Award is a premium travel industry award. From design to marketing to services, Travel Weekly Magellan Awards honours the best in travel, and salutes the outstanding travel professionals behind it all. As ANIXE competed with travel technology providers from all over the U.S. and around the world, we are all the more proud to be the only winner from Central Europe in the category of Online Travel Services. This year’s winners continue to raise the bar, establishing themselves as not just the most talented and creative people in the travel industry but among the most creative and talented of any industry. said Arnie Weissmann, editor in chief of Travel Weekly.